#1 – Skateboarding is the 3rd most popular recreational activity for kids between 6 to 18 years of age. While team sports participation has consistently declined, skateboarding has millions of participants. Yet, most communities do not have a dedicated space for Skateboarders. #2 – Skateboarding is a healthy, physical activity that anyone can enjoy. Childhood obesity has more than tripled in the past 30 years in the U.S, with more than one third of children and adolescents being overweight or obese. #3 - Skateparks provide a safe and legal place for Skateboarders to practice their sport. Statistics show that the majority of deadly skateboarding accidents involve a motor vehicle. Offering diverse terrain and a quality Skatepark means less Skateboarders on your streets, at your local businesses, parking lots and sidewalks. #4 – Skateparks can provide great revenue opportunities for their communities. 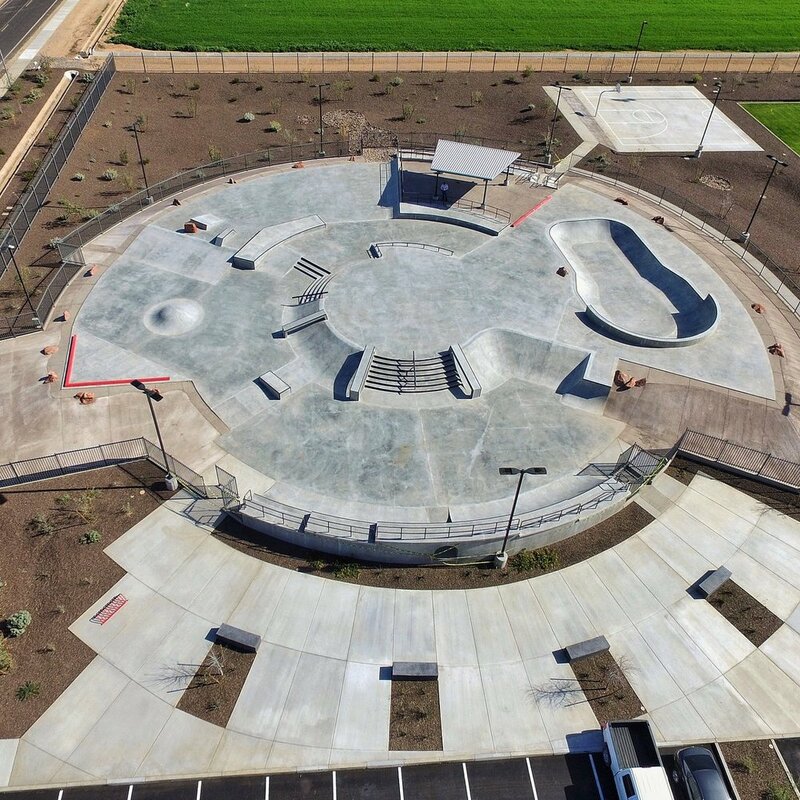 A destination style Skatepark attracts skaters from all over the United States, which in turns means increase in lodging, shopping, meals as well as other local recreational activities. Remember typically, it’s not just the skater coming to the area but an entire family. Depending on the Skatepark design and size, there is also opportunity to hold events, competitions, etc. drawing even bigger crowds. #5 – Skateparks bring communities together. They are a social gathering place offering its users the opportunity to meet with other community members with similar interests. We often see entire families at the Skatepark, some users and some just enjoying the show. It is common for young skateboarders to volunteer for Skatepark cleanup and take ownership of the space. If your City does not have a Skatepark than we can promise you it is the Skatepark.